About Us Book I’ve seen enough. So, what’s the point? This is a common sight. 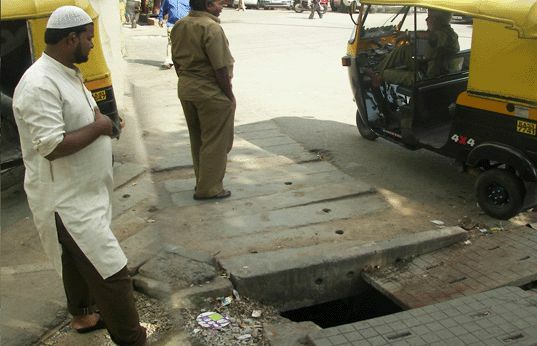 A broken or displaced footpath slab exposing a chasm below. You would expect that all it takes is for someone to put it back. It isn’t that hard. But somehow that never happens. It’s far easier to skip over the gap, to sweep muck into it, and to let things be. Many people lose their lives or break their limbs, due to this. 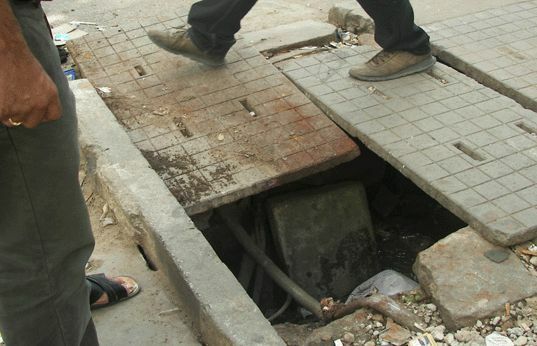 It’s fairly common to hear of people falling into holes on the road when rainwater, or poor street lighting, hides these death-traps. But this particular death-trap is on a main street. Where thousands of people walk everyday. Why doesn’t someone put it back in place? Doesn't anyone feel guilty if an unsuspecting person falls inside? Apparently, this doesn’t trouble anyone around – and if someone falls in, well – it’s their fault.